We need to have a serious discussion: Franz Ferdinand is an incredibly underrated live band. I have never been particularly passionate about Franz Ferdinand, instead merely content to listen to their albums every so often, with a periodic defense of their post-debut output. However, after seeing them at the Wonder Ballroom back in 2012, I had to reassess my position, and I became more insistent about their talent due to their unbelievably fun live show. 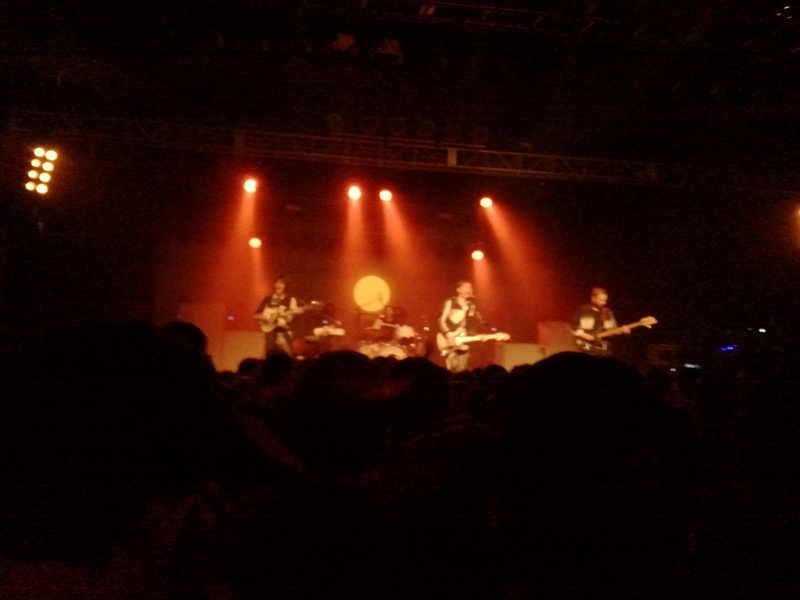 Saturday night’s stellar performance at the Roseland was able to fully confirm their greatness. The show started off with a bang, as Franz opened up with the explosive single “Bullet” from the recent Right Thoughts, Right Words, Right Action (sharing the number 8 spot in our ranking of last year’s albums, for the record). The band kept the momentum up with the fan-favorite “Michael”, a delightful twist on the usual sexual dynamics of the traditional pop love song. A raucous version of “The Fallen” followed, with Alex Kapranos stretching out some of the lines and throwing in a little flair with his guitar playing, and “No You Girls” signaled that the party had officially arrived. Throughout their set, it was clear that the band had perfected the mix of caddishness from their early days to the more libertine seediness of their recent work, all done with a grin and a catchy dance beat. The band was able to effortlessly shift through their four albums, though the band made sure to showcase most of Right Thoughts. A combined version of Tonight‘s “Can’t Stop Feeling” and “Auf Achse” was a perfect example of this, with the latter nestled perfectly in the middle of the former. It took a few moments to realize that the band had transitioned between songs as they played, and I was surprised because I never heard the parallels between the two songs before. Throughout the night, the band effortlessly engaged with the audience, dancing along when appropriate or goading participation from the crowd. The audience was eager to clap along, and in a manner unusual for Portland audiences, actually kept the beat (most of the time). Kapranos in particular was a delight, with his goofy dancing and his playful come ons. When the band played “This Fire”, the crowd eagerly joined in on the chorus and shouted along, until Kapranos was able to bring the volume of the chants down to a minimum, before of course exploding in the end (though I should note that if it was a hip-hop show, if the crowd chanted “We’re gonna burn this city!”, the Portland police would have shut down the whole show before the end of the song). The band concluded their set with and extended full-band drum solo in “Outsiders”, as each member grabbed sticks to play along on the drumset–a trick that they pulled off at the Wonder Ballroom before, but I’m glad to see that it’s now an established part of their set. The only issue was that at some points the band’s tempo was out-of-step with the audience, with the band more willing to slow it down a bit and grind while the crowd was eager to explode. Such tension could easily be felt with songs like “Take Me Out”, where the crowd wanted to lose their minds but the band wanted to rein things in to the proper deliberate stomp of the original. But that’s really a nitpick, and it shows discipline on the band’s part for adhering to tighter rhythmic control. However, it was pleasantly surprising that the show ended up selling out, considering I was able to purchase tickets earlier in the week with ease, and too bad for those who were unfortunate enough to miss out, because they missed an amazing show. If word continues to spread, I may need to make sure I make my purchase well in advance.